 HIRO is Japanese for 寛 (hiro) „tolerant, generous“ or 浩 (hiro) „prosperous“. The prime ingredients used in our mineral makeup are, unlike most makeup, inorganic, which means that bacteria and microbes cannot live in the makeup and infect the skin. Our „all natural mineral makeup“ is Noncomedogenic, which is an expensive word for saying it does not block pores, allowing your skin to breathe. It is ideal for even the most dry and sensitive skin or skin prone to rosacea or acne.